More often than not, we just want to put a security camera in the window facing outside to monitor front door/backyard, or mount a security camera indoor looking out through glass or window. Then some people come out saying security cameras won’t work through glass/window. So does security camera work through glass/window glass? Or to be exact, what potential problems you might experience when placing cameras inside looking out through glass or window pane? Can an infrared camera see through glass or window? Does motion detection work through glass or windows? Can security camera record through windows or glass? Potential Problems When Security Cameras Are Used through Glass or behind a Glass Window? One of the common problems you might experience with using an infrared security camera behind/through a glass window at night is window glare, either by infrared LEDs, ambient lights, or status lights. The window glare or glass reflection is very likely to cause images whiteout or videos being washed out by the overexposure of lights at night, which makes it hard to make out the details. While during the daytime, the cameras usually work okay. Do Infrared Security Cameras See through Glass/Window? Infrared security cameras are prone to wash out the picture when placing behind glass or window glass panels at night or in low light conditions. In those scenarios, you won’t be able to see things clearly. To prevent glare on a surveillance camera looking through a window, users could turn off or disable IR lights as well as status lights at night, which helps mitigate IR security camera window reflection and enable you to see through glass or glass window screen. Meanwhile, to reduce window glare and reflection, get the camera lens as close as possible against the glass when placed behind a glass window. Or using a suction cup mount that sticks to the window facing outside, for example, this suction cup mount even comes with a magnetic screw mount that allows it to attach to the outdoor cams like Nest cam. 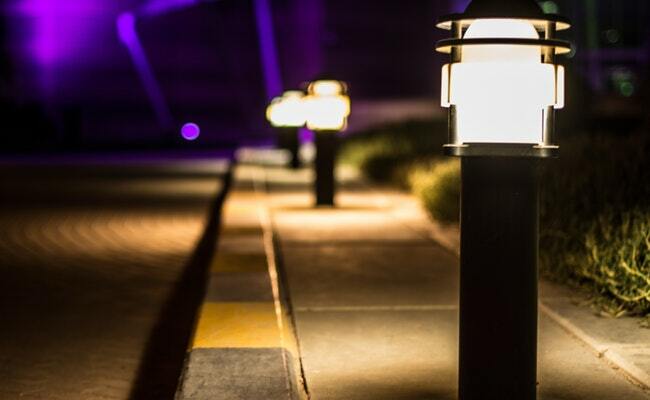 Installing a motion-activated or automated external lights like this one or street lamp outside helps light up the front door or backyard, which provides illumination for security cameras to see more details. Does Motion Detection/Recording Work through Glass or behind a Glass Window? There are two main types of motion sensors used in security cameras/systems. One is a motion sensor that triggers alerts by measuring changes in pixels, which relies on software algorithm, for example, Reolink C1 Pro, Reolink RLC-410. Another is the passive Infrared motion sensor that sets off motion alarms by detecting body heat and infrared energy, known as PIR motion sensor, such as Reolink Argus 2, NETGEAR Arlo. Security cameras with a motion sensor that calculates changes in pixels will still be able to detect movement and record through glass or a glass window. PIR motion sensor security camera doesn’t t work reliably or sometimes doesn’t work at all through windows or glass because most glasses used in modern houses today are insulated, limiting heat coming through the glass, which in return undermine motion detection. To detect motion and record motions through glass or a glass window, placing the camera outside, mounting the camera on the wall or window ledge, installing them under a soffit or overhang. For example, installing wire-free security camera outside on the wall to keep an eye on areas of interest. Or choose motion sensor security cameras that detect motion by calculating changes in pixels like Reolink C1 Pro and place it in the window for daytime monitoring. When you use a night vision security camera through glass or behind a window facing out to monitor front door, front porch, backyard, driveway, parked cars or your property outside, or place a security camera in the window looking down through glass or a glass window, it’s important to consider these following tips of security camera placement, mounting and usage through glass or glass window. Tip 1. Disable IR light at night to reduce IR security camera window glare/reflection. Tip 2. Get separate IR illuminators for infrared night vision security cameras and put IR illuminators outside. Tip 3. Choose a window mount security camera when using through or behind a glass window. Tip 4. Use window mounts or wall mounts for security cameras that face out through window glass. Tip 5. Try to find an alternative spot to install or place surveillance camera outdoor, for example, soffit, overhang, ledge, exterior wall. Tip 6. If possible, leave the window open for a bit when placing infrared wireless security camera in the window. Tip 7. 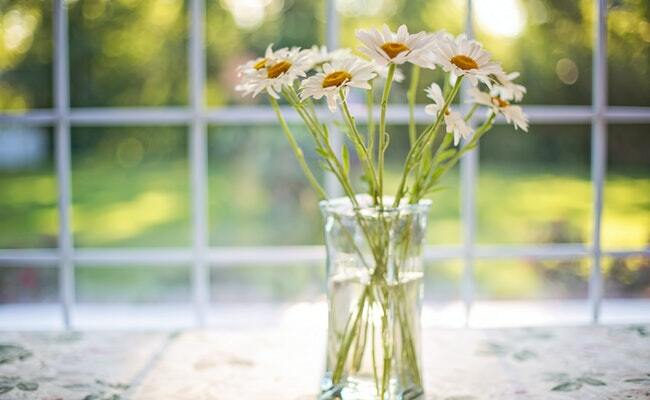 If you really need to point the camera out through the glass, try placing the camera close against the window or glass. Tip 8. Make sure the room the camera is in is darker than the outside at night. Tip 9. Keep the glass panels or window glasses clean so that the cameras catch more details through the glass window. Tip 10. Make sure your home security cameras are placed out of reach and can’t be snatched away easily. This entry was posted in Home Security FAQs and tagged glass reflection, IR cameras, window glare. Hi there, if you are looking for wireless cameras that work under minus degree in winter, it’s suggested to check out this weatherproof wireless camera /product/rlc-410ws/. 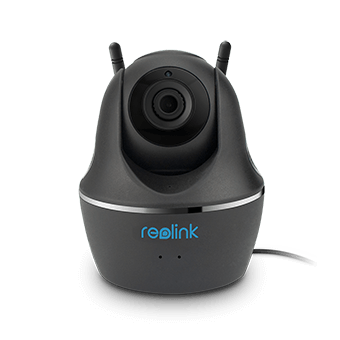 Security camera that triggers alerts by measuring changes in pixels will work through window like Reolink C1 Pro /product/c1-pro/. So, would it help to put a small strip of tinting, like what is in eclipse glasses, in front of the infrared lighting (or taped to the glass maybe) to keep the glare down? I will! 🙂 Wish me luck! My lenses disappeared and I never got to try them! Did the tint strip work for seeing thru the glass better? My lenses disappeared and I never got to try them! If I ever find another set, Ill let you know! My thought is make a paper or cardboard tube that fits over the lens mount. Maybe 1 inch long so its pressed against the window glass and the IR Leds will not reflect back?? Well it did not work, Using a paper tube covered with electricians tape was good, The problem is their is 2 layers of glass in a window pane, And the IR light bounces back from the second layer of glass making it like having a mirror in front and back of you, You see a million reflections.